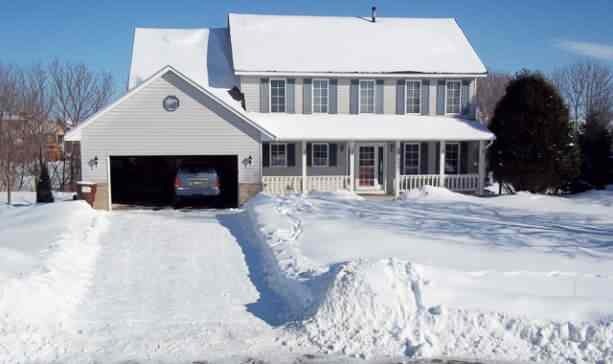 When snow plows clear the road, a pile of snow is often left at the bottom of the driveway and can be a hassle for individuals who cannot clear it by themselves. From the 1st of December until the 31st of March, Oakville’s senior residents who are 65 years old and above may avail of the driveway snow windrow clearing service. The service is also open for residents with medical conditions and/or physical disabilities that may hinder them from being able to clear the windrow on their own. The service includes clearing of the snow windrow created after residential roads are plowed when snowfall exceeds 3 inches or 7.5 centimetres (one time clearing per winter event). It is to be noted that the service does not include clearing of areas such as the sidewalk or the driveway and will only start after all the roads has been plowed. More so, snow that has ended up as part of your snow windrow may take up to 36 hours to be cleared after an extreme snowfall. For residents who needs to have their entire driveway cleared, or needs the snow windrow clearing service to be done fast, then hiring a private snow plowing company is recommended. For driveways with a special surface or perhaps one with a patterned concrete, it is advisable to evaluate the appropriateness of availing of the service before signing up for it. Consider that the equipment that will be used for clearing the snow windrows may scratch the surface of your driveway prior to signing up. The Town is also not to be held responsible for any possible damage caused to curbs or driveways by the clearing of the snow windrow. If you’re an Oakville resident who is 65 years of age or older (and has a document to prove that), or a person with a medical condition or disability (and have a disability parking permit or a doctor’s note), then you are eligible to avail of the service. To fully qualify, the registrant should also sign a declaration that states that there is no able-bodied non-senior person living at their home. For the 2015 to 2016 season, the user fee for the service is $96.05 and is non-refundable once the payment has been processed. Interested residents may register in person at the Town Hall between 8am to 5pm from the 1st of October to the 20th of November 2015. Don’t forget to bring a proof of your medical condition or age, plus your cash, cheque, credit card, or debit card. To know more about the service, you may contact ServiceOakville via email at serviceoakville@oakville.ca or give them a call at 905-845-6602. Impressed by the Oakville services available to residents? Then make Oakville your home! You’d love how our Town is so attuned to the needs of the community. Contact us and we’ll help you find a home in beautiful Oakville!